I have been using this product for about 30 days now and I must say, I have been super impressed!! This is a three step regimen that contains their 5 in 1 anti-aging formula that lifts, volumizes, hydrates, tones and oxygenates your skin on outside and inside. The smell is amazing and the feel is even better! So I am going to let you see what the company says and then I am going to tell you what I think of this and if it passes my test! As you can see, there are so many great ingredients in these products. 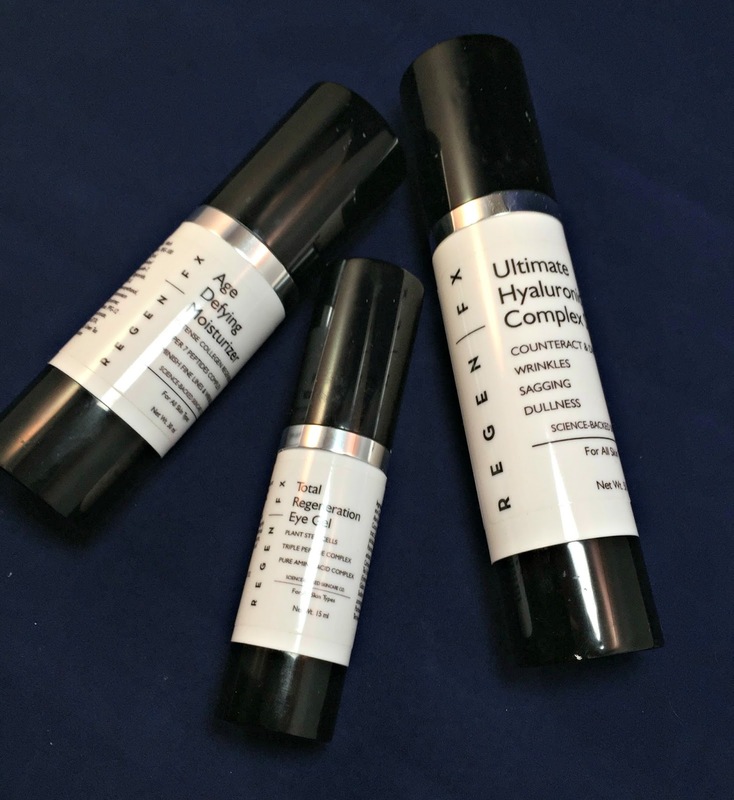 I could tell immediately when I first tested them that there was some key ingredients that were going to help with some of my problem areas. 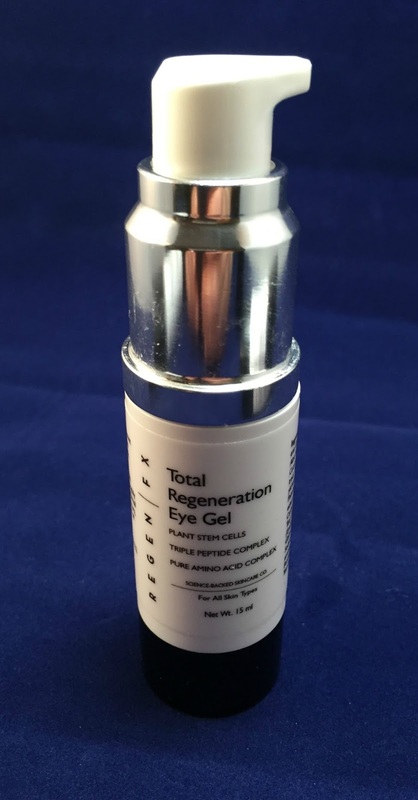 First, Total Regeneration Eye Gel. This is a cooling eye gel that reduces crows feet, fine lines and puffy eyes. It is a triple peptide treatment with pure amino acid AND it smells amazing!! I have been wearing it night and day and I have seen that my eyes less puffy, less droopy and brighter since I have been using it. Next, Ultimate Hyaluronic Acid Serum with Vitamin A, C, D, and E. You know how much I love my hyaluronic acid! It is soooo good for prevention in aging and wrinkling of your skin and to help fix what damage is already done. This smells amazing, too. I felt it immediately working into my skin with the vitamin C. It didn't feel sticky or heavy after applying which is really nice. Sometimes vitamin C serums feel a little tacky after applying but this felt really smooth. 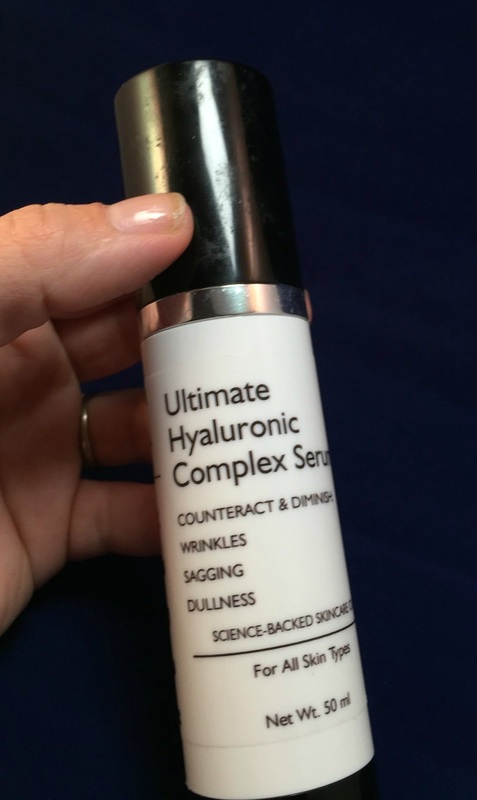 I actually applied this with my cleansing and anti-aging device so I was super excited about it! The last step in my routine is the Anti Aging Moisturizer Cream. This is the best product out of the bunch! It smells amazing, it calms my face it truly does moisturize. This contains a blend of Collagen Boosting Peptides, Vitamin C, E, Green Tea Extracts, and Matrixyl 3000. So, you may ask what is Matrixyl 3000- because I did.. Matrixyl it is a short term anti-wrinkle peptide similar to botox but the 3000 part is a super stimulator that also repairs collagen and therefore qualifies as a long term anti aging peptide. Super awesome stuff! 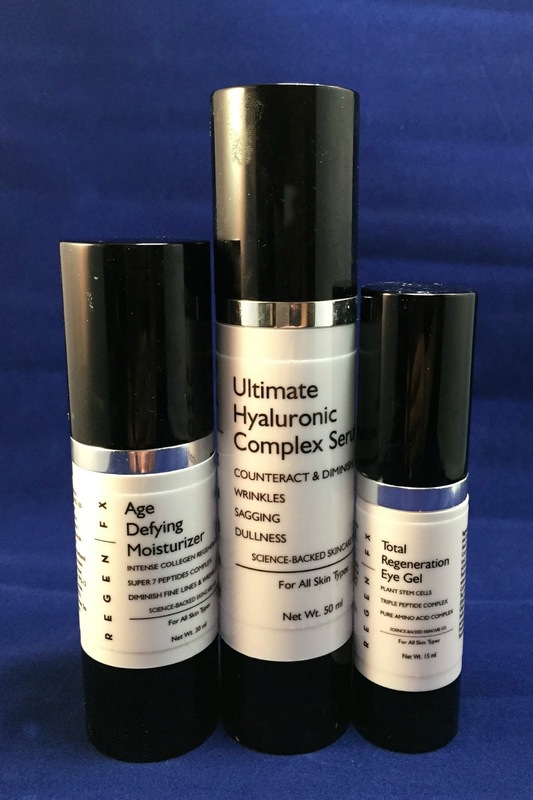 Total Regeneration Eye Gel you can buy for $39.95, Ultimate Hyaluronic Acid Serum is $39.95 and the Anti Aging Moisturizer Cream is $42.00.